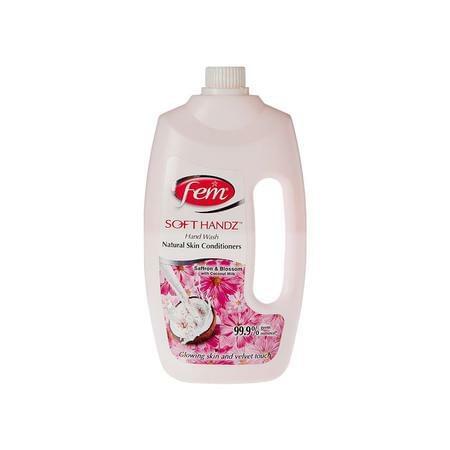 New FEM Soft Hands with Saffron & Blossom is enriched with natural skin conditioners of Coconut Milk. It removes 99.9% germs while restoring the lost moisture. Besides, it gives you glowing skin with a velvet touch and a gentle aroma.